Sushi Roll Japanese Food In Restaurant. Philadelphia Hosomaki Roll Set With Salmon, Vegetables, Flying Fish Roe And Caviar Close Up. Banque D'Images Et Photos Libres De Droits. Image 119139665. 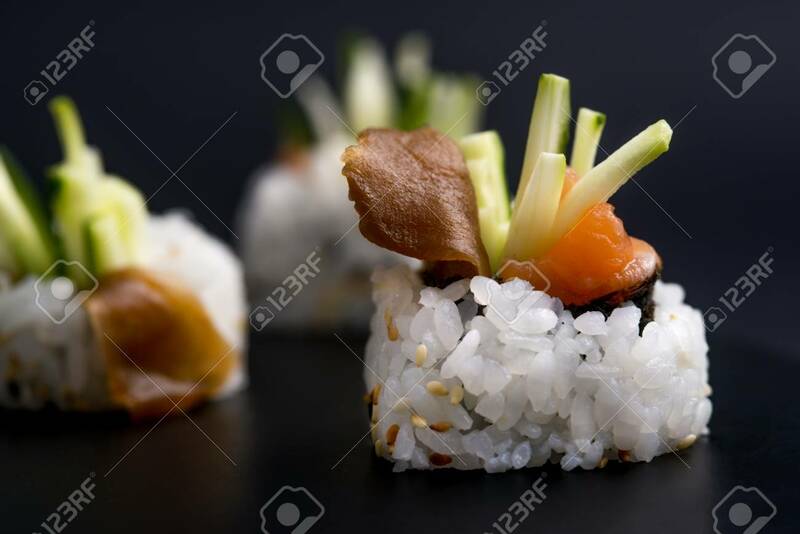 Banque d'images - Sushi roll japanese food in restaurant. Philadelphia Hosomaki roll set with salmon, vegetables, flying fish roe and caviar close up. Sushi roll japanese food in restaurant. Philadelphia Hosomaki roll set with salmon, vegetables, flying fish roe and caviar close up.